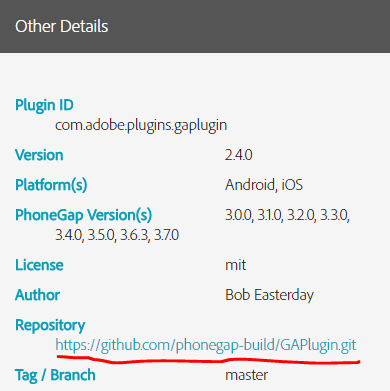 In just a few days (November 15th, 2016), PhoneGap Build’s plugin directory is going away in favor of Node Package Manager (NPM). No need to panic! There are several paths you can take to move over to NPM. In a great move, PG Build has given us the option to see the plugin’s equivalent on NPM or submit a suggestion ourselves. Clicking the “probably here” link brings us over to NPM. 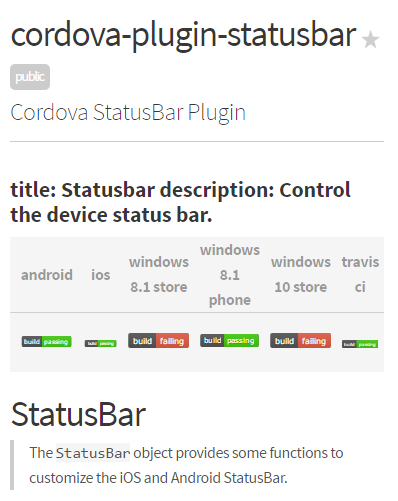 Most, especially official, PhoneGap plugins begin with “cordova-plugin” so usually it’s safe to assume that they are equivalent. As we’ll see below though, that’s not always the case - review the NPM one in detail and test it before putting out a new version of your app. 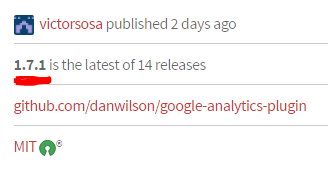 NPM link not there? 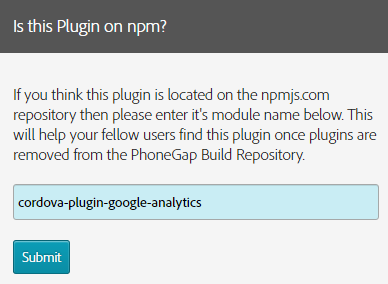 If you happen to know the NPM equivalent, please consider helping others out by submitting it’s module name at the bottom of the plugin page. For example, I’m using the PG Build Google Analytics plugin, but found and submitted cordova-plugin-google-analytics as it’s replacement. What is there is no referral link and/or you can’t find an equivalent on NPM? Fork it from GitHub to your personal account and reference it from there. 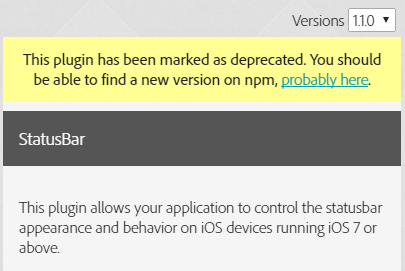 This also works in the case that the NPM plugin is not quite the same as the PGB one and you don’t have time to update your code just yet. I actually needed to do this step for the Google Analytics plugin - it turns out the namespaces and methods are slightly different. I’ll update the code eventually, but I want to ship out some other changes shortly.